New designs help high-end buyers have an easier and more comfortable life. The new electronic fitting for the kitchen from the international bathroom and kitchen fixtures manufacturer Dornbracht is a special kitchen aid with pre-set water programs and hands-free features. At the touch of a button, the electronic panel ensures flow of water, dispenses liquid soap and closes or opens the drain. A hands-free sensor is mounted underneath the sink and shines a discrete beam of light that helps you turn the water on and off using your foot. Born Rich has depicted the kitchen aid as having a “minimalistic design, the control panel can be integrated perfectly into every high-quality kitchen architecture.” Incorporating four buttons into a control panel, the manufacturers offered a luxurious way of looking at housework and also, an alternative to usual dish cleaning. 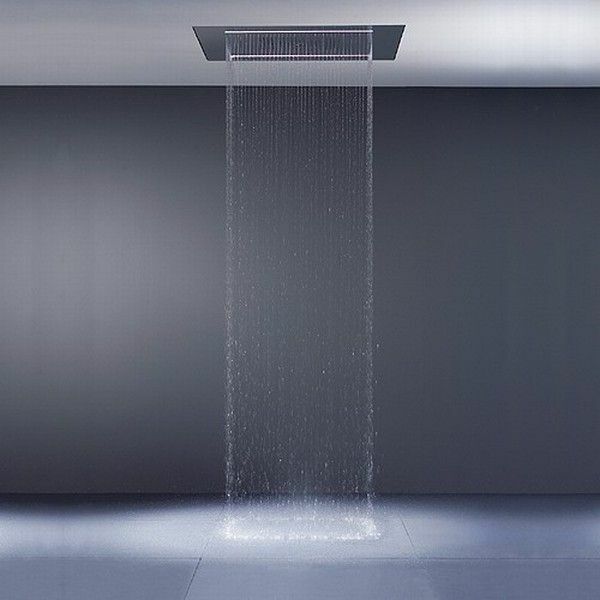 The design is very similar to another of Dornbracht’s products: the eTool for the shower. We invite you to look at the video presentation below. Now, do you believe this high-tech kitchen fitting to be useful or does it impress with the design?